Quarry Ridge Animal Hospital is committed to your pet’s health and happiness. Our pledge to you and the animals you love is to provide excellent, comprehensive veterinary care, and to do so with compassion, patience, and respect. 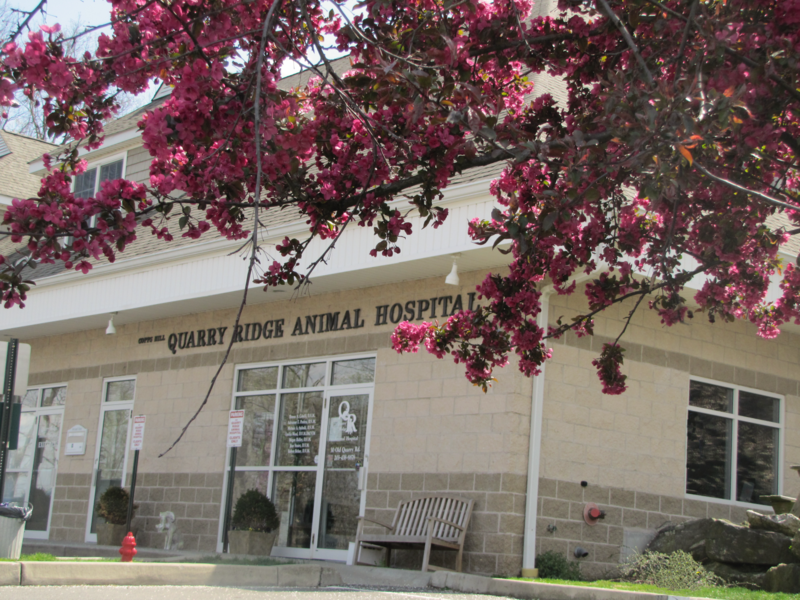 We’re proud to be Ridgefield’s only veterinary practice accredited by the American Animal Hospital Association. Most of all, we’re proud to care for your pets! Your cats, dogs, rabbits, birds, ferrets, guinea pigs, iguanas, lizards . . . every pet is special, and we can’t wait to meet yours! We’ve heard the FDA’s alert about a possible link between canine heart disease and certain grain-free diets. Click here for more information, including recommendations for diet and heart health. The Quarry Ridge Animal Hospital veterinarians are dedicated to providing your pets with the finest care at every stage of their lives. We have the training, the experience, and the skills to diagnose and treat your pet using the cutting edge equipment and technology at Quarry Ridge Animal Hospital. In our collaborative practice, every veterinarian is invested in your pet's well-being! We all work together to give your pet and your family the very best care.